Fixing the printer on a vintage IBM 1401 mainframe #VintageComputing @kenshirriff « Adafruit Industries – Makers, hackers, artists, designers and engineers! Another great Vintage Computing post from Ken Shirriff on fixing a printer on a vintage IBM 1401 mainframe. 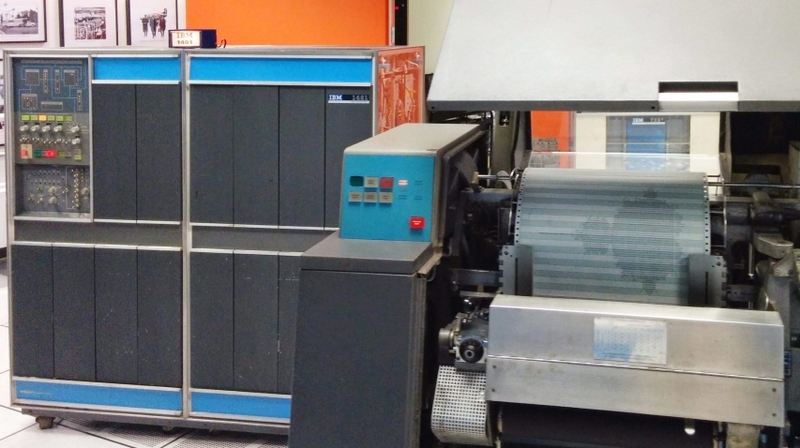 The Computer History Museum has two operational IBM 1401 computers used for demos but one of the printers stopped working a few weeks ago. This blog post describes how the 1401 restoration team diagnosed and repaired the printer. After a lot of tricky debugging (as well as smoke coming out of the printer) we fixed a broken trace on a circuit board. Read more on Ken’s blog.